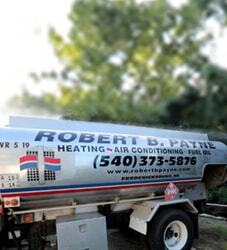 Affordable Heating Maintenance Service Fredericksburg, VA | Robert B. Payne, Inc.
Do not wait for your heater to break down before you give it the attention that it needs. Robert B. Payne, Inc. recommends routine heater maintenance not only to keep your heater in working order, but also to ensure that your unit is around for as many winters as possible. If it has been a while since you have had a professional HVAC company inspect your heating unit, do not hesitate to submit a service request today. 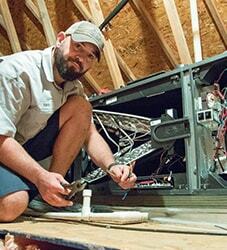 It is always a good idea to have one of our technicians take a look at your heater before the winter season rolls in so that we can take care of any problems that you might have and so that you and your family will stay nice and warm all throughout the colder months of the year. Bleeding/venting the radiators – By removing pockets of air trapped within the radiator, we can ensure that your unit fills with hot water more efficiently. Checking over all pipework – Over time, pipes may experience decay or corrosion. We want to make sure the system experiences the least amount of strain possible. Examining the water tank – Your water tank is often placed out-of-sight — we won’t let it become out-of-mind! We’ll make sure that it has not been affected by corrosion or leaks. Just like your car, your home’s heating system needs preventative maintenance to continue running smoothly. Typically, an HVAC system should undergo scheduled maintenance on an annual basis (once per year). Maintenance from an experienced technician means trouble-free usage, peak performance, and less expensive utility bills. Furthermore, pre-season maintenance is crucial. You cannot always predict upcoming weather patterns, but you do want your system in top shape before the severe cold of winter..
For a system that provides both heating and cooling, perform maintenance during the spring or fall. For a system that exclusively heats, such as a furnace, perform maintenance on an annual basis before the cold winter months. Allow a professional to handle maintenance. Chances are you may not understand the internal systems or know exactly what to look for. Our experienced technicians are happy to help. Everyone knows maintenance is the best way to keep your car or truck running in tiptop shape – and the best way to prevent expensive repairs in the future. It’s the same with your heating system. 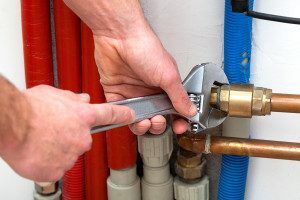 Having the Robert B. Payne pros come in for an annual heating system maintenance service call is the best way to control heating costs in your home or business. We offer affordable maintenance calls, as well as AC and heating maintenance contracts, for our Fredericksburg customers. So while maintenance cannot completely avoid the cost of ALL future heating system repairs or replacements, it can certainly help you keep your expenses in check – and ensure that you and your family stay warm all winter! Maintaining your heating system takes little time and effort on your part. Plus, it can save you a lot of money and stress in the long run! Schedule an appointment for an annual tune-up with Robert B. Payne – our pros will inspect, clean, lubricate, and attend to every part of your system to ensure it continues to run strong all year! 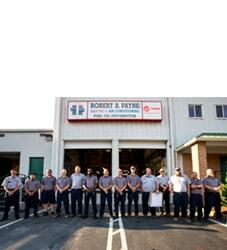 We are all about saving here at Robert B. Payne, Inc. We want to save all of our customers energy, time, money and frustration. While you are filling out a request service form here at our website, do not forget to see what our current specials are. We can also assist you by offering financing with approved credit or fuel delivery for your HVAC unit. For more information about heater maintenance in the Fredericksburg area, call a Robert B. Payne, Inc. representative today at (540) 373-5876. If you like, you can also contact us online.